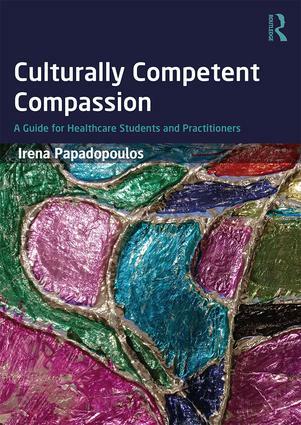 Bringing together the crucially important topics of cultural competence and compassion for the first time, this book explores how to practise ‘culturally competent compassion’ in healthcare settings – that is, understanding the suffering of others and wanting to do something about it using culturally appropriate and acceptable caring interventions. This text first discusses the philosophical and religious roots of compassion before investigating notions of health, illness, culture and multicultural societies. Drawing this information together, it then introduces two invaluable frameworks for practice, one of cultural competence and one of culturally competent compassion, and applies them to care scenarios. Papadopoulos goes on to discuss: how nurses in different countries understand and provide compassion in practice; how students learn about compassion; how leaders can create and champion compassionate working environments; and how we can, and whether we should, measure compassion. Culturally Competent Compassion is essential reading for healthcare students and its combination of theoretical content and practice application provides a relevant and interesting learning experience. The innovative model for practice presented here will also be of interest to researchers exploring cultural competence and compassion in healthcare.